This is an article that is heavy for me to write and it is also scary for me to write. I expect that there may be negative comments and I may even lose readers. I’m not happy about those possibilities, but I’m prepared for them. I’m writing this in case there is even one parent out there who either is struggling to make this decision or who already has and is guilt-ridden with their choice. If I help one of those parents in sharing our story, the negative consequences will be worth it. If your child has diabetes that needs to be controlled by insulin, that choice is an obvious one. Our oldest daughter has a lung disease. The medication she needs has side effects, but it keeps her alive , so that choice has never been a difficult one. But what about if the medication your child needs isn’t to save their life? What about if the medication is for behaviour or mental health issues? Then, the decision isn’t as obvious and it can be gut wrenching. I’m choosing to share parts of our story but I’m also choosing to leave out the worst details, details those of you without children like mine cannot fathom, things you’ve likely never considered. Leaving out those details is a bit of a catch 22. If I shared those details with you, there is little doubt that you would better understand my position and be supportive. But if I shared those details, I would be sharing private things about one or more of my children that could follow them around for the rest of their life because the internet is wide-reaching. I’m choosing a bit of a middle ground…sharing enough that those who do have children like mine will likely be able to read between the lines and feel understood but leaving out enough to protect my kids. Our story begins many years ago with the birth of our two relatively healthy boys and then ventures down our path to the adoption of five more children, all of whom have special needs. Our oldest boys had no special needs other than one having dyslexia. At that point, medicating a child wasn’t something I considered except perhaps to silently judge the parents who chose Ritalin and other such “needless” and “overprescribed” medications. It was easy for me to judge because I had never been in those parent’s shoes. Upon the diagnosis of some of our adopted children and the onset of difficult behaviours related to their diagnoses which included such things as SPD (sensory processing disorder), ADHD, Aspergers, and a neurodevelopmental disorder (FASD), suddenly medicating for behaviours was something we were being asked to consider. I saw medication as a last resort and even when doctors suggested that we might want to consider it for one of our kids, ultimately, we decided against it, reasoning that we could try other interventions. 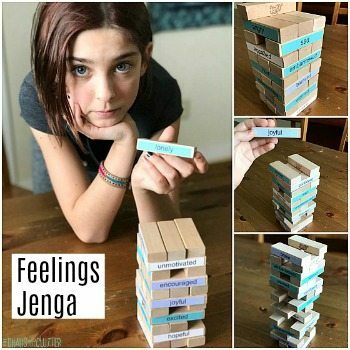 Thanks to educating ourselves on sensory issues, making changes to their environment and homeschooling, we were able to avoid medication. I felt quite proud that we weren’t one of “those families”. Fast forward a few years to when our son’s Aspergers traits were becoming more pronounced…he was struggling and so were we. I still saw medication as a last resort and researched other ideas. We chose to try putting him on a gluten free diet and the results have been remarkable! Once again, we were able to avoid medicating. Another one of our children was beginning to display challenging behaviours that took over our home life. This child was eventually diagnosed with PTSD (post traumatic stress disorder), RAD (reactive attachment disorder) and anxiety disorder. By the time we had a diagnosis and a team of specialists, we were at the end of ourselves and so was she. I couldn’t even recognize the child she had become. She never smiled anymore or got any enjoyment out of anything. Her anxiety was so high that she was barely able to function in day to day tasks and was completely unable to access her brain for learning. The behaviours were holding our family hostage. We were all suffering. She was suffering. It was a terrible feeling to see one of my kids in so much pain and to be unable to help her. Nothing we tried worked. Therapy made things worse. I got to the point where I was willing to medicate her. The Husband wasn’t yet in agreement. I resorted to videotaping a 20 minute period of what the days with her were really like to show only to him. Once he saw it, he was on board with doing whatever it took to get her the help she needed. Even once we were both on the same page, it still wasn’t easy to follow through with it. I worried about side effects. I worried about her never being able to get off the medications. I worried that by starting when she was so young, we would have to keep increasing the doses. I worried that it was dangerous. I worried that we were doing the wrong thing. After I gave her her pills for the first time, I went to my room and cried. I felt like I had failed. Failed her. Failed at being a mom. And then, three days later, I saw her smile. The day after that, I was in the kitchen and I heard an unfamiliar sound in the homeschool room. I rushed around the corner, holding my breath, hoping it was what I thought it was. It was. It was her giggle. It had been eight months since I had heard her laugh. She was back. Our daughter was back! It’s been a little over a year since we made the decision to medicate our daughter. We haven’t had to increase any of the medications. She has had the side effect of weight gain which I worry will become a self-esteem issue for her. Our goal is to be able to teach her through education and therapy how to control her anxiety and behaviour issues on her own and eventually come off the medication. We still do whatever we can using natural means such as the anti-anxiety kit I created for her which includes some natural remedies and by creating sensory outlets for her such as sensory bins. We also took her through a year long treatment program for attachment and trauma and she is in ongoing therapy. How soon can we expect to see results? What results should we expect? What is the part of the treatment plan that does not include medication? Is there a goal for weaning off the medication at some point? How often will dosage be reevaluated? Are there other medications or foods that need to be avoided while on this medication? What is the cost and is the medication covered by insurance? I would also highly advise that you ensure that you and your spouse are on the same page when it comes to making this decision. Have your spouse attend important appointments with you pertaining to your child if possible so that they can get a clearer picture and be able to participate in making an informed decision. This is such a great post, showing that you not only didn’t fail your daughter, but that you did what was best for her. Medicating a child is something that only people who have lived through the decision can understand how tough it was. My parents, after years of struggle, final made the choice to allow me to be prescribed medication when I was a teenager. Yes, there are over-medication issues, but those who harp on that ignore the children who really need and benefit from the medicine. I admire your strength, both in making such a tough decision and in deciding to share it here! Been there. I get it. Most people might not get it but at some point you just have to trust your instincts because you have been given stewardship of this child and you will be given the tools you need as a mom. Our situation is constantly evolving and we’re doing relatively well. I personally know another family that wasn’t so lucky. I think we need to talk about this more. There is no shame in it, but there is so much ignorance that a light needs to be shed on it. See a pediatrician and/or other specialist regularly. S/he is an expert on children or on the particular issues you’re dealing with, and is the best professional to help your family. These issues are often beyond the scope of the family doc. And a question to ask – how frequently will we need to do blood work? With many medications, there can be potential damage to the liver or kidneys, or other ill-effects that can only be caught early with regular blood work. If your doc prescribes medication but says your child won’t need regular blood tests, seek a second opinion. I know the blood tests are HORRIBLE and torturous for many kids and moms, but they can be life-saving! Our son with epilepsy was prescribed medication by our pediatrician, who insisted there were “zero” side-effects and never sent us for any blood work. Nine months later, our son was hospitalized and near death. It took a team of docs five days to figure out that he had folic acid anemia – a dangerous but prevenable side-effect of the anti-seizure meds. Oh, how I wish this article could be more widely read! I’m so tired of seeing and hearing about over-diagnosis and over-medication of children, from people who have absolutely no idea what we’re dealing with. I even had a pediatric urologist recently question my choice to medicate my child, who was sitting there being so cooperative in his office. He obviously didn’t consider the fact that my child was behaving so well BECAUSE of the medications he’s on. Now I’m trying to find another urologist, because I feel that this doctor truly doesn’t understand my child’s needs, and also because I feel he won’t respect my reports of what’s going on with my child. I have friends who post those articles about rampant misdiagnosis of ADHD, and I want to tell them, “If you had a child with true ADHD, you would know it’s not just an active child, or a spirited child.” My sons, all of whom were adopted through foster care, have serious issues that cannot be helped with diet alone. We’ve tried gfcf, supplements, OT, brushing, etc. My children were literally bouncing off the walls, harming themselves and others. 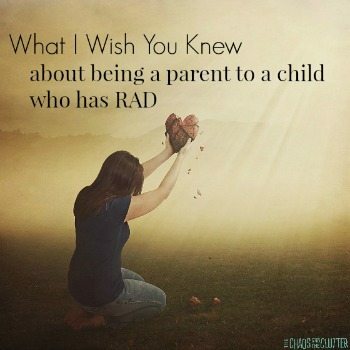 My youngest has RAD and – though he’s only just turned 6 – was holding our family hostage, as well (Interesting that you used that term, as I’ve spoken those same words when trying to get help for him). I know it’s impossible to “get it” if you haven’t lived it, but I sure wish people would stop judging things they know nothing about. I have not been in your shoes, but I have learned not to judge others because everyone has a story. I admire you for writing this to help someone, even if it means losing a few readers. If a few readers decide to stop following you for this post, then it’s their loss. You have a brave and strong spirit that I feel when I read your posts. I am glad that your daughter is doing better. She is simply beautiful! 🙂 God bless you all! Thank you. Thank you. Our 6 yr. old suffers from anxiety. Thankfully, CBT (Cognitive Behavioral Therapy) has helped tremendously along with her Service Dog (that helps with other health-related tasks). This needs to be talked about more, we need more resources. Thank you for sharing your story. 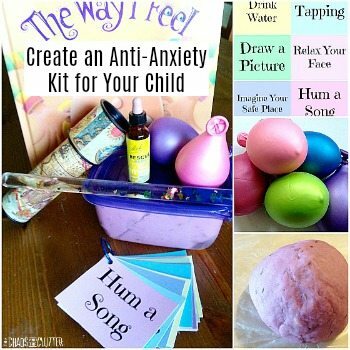 Also, your Anti-Anxiety Kit has been so useful for my daughter! Thanks for that wonderful idea! Wow, you are an amazing mother and a warrior woman. Your child is very very lucky little girl to have you as a parent. I was born and raised in NE Africa, where children die from simple preventable childhood diseases on a daily basis! Not to mention how much children with special needs, especially if not physically visible suffer and often fail to thrive. It is not that my community was simply curiel or uncaring but did not have the means to take advantage modern science. Therefore, I get very sad, when I hear parents in modern country with the means to care for their children but are made feel guilt and/or judged by their peers, who are not in a same shoes. Thanks for your post. Our son has the same diagnosis: PTSD, RAD & anxiety. We have tried *everything* and have just started medication. We started with an antidepresant and it showed an effect for about a week and then reverted, we have slowly been adding an anti-seizure med since then with no difference. Any chance you could tell me what meds you are trying? Please know that it helped me to feel as though I am not alone, so thank you for this post!!! Our daughter also has the dx of PTSD with dissociation and RAD. She started on Risperdal (an anti-psychotic) and it made a WORLD (I MEAN WORLD) of difference in the violent, aggressive behaviors. We’ve also done a ton of DDP therapy along with EMDR. We are starting another med soon for seizures; I am nervous it will somehow interfere with the good that Risperdal has done. Thank you so much for writing this, Sharla; I relate to so much of it. I always say that I was the perfect parent…until I had kids! I had the same judgements about people over-medicating their children. This has been quite a lesson in not judging. 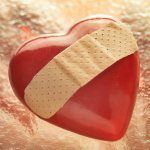 Two of my four children with special needs take medication, and, like you, I agonized and cried and felt like a failure. We, too, were being held hostage by behaviors, but I still believed that I could deal with those behaviors by other means. It wasn’t until my then five-year-old son intentionally jumped in front of a moving truck that I realized that we had to do something. We had also taken video of what was going on in our home, and they were helpful for me to watch when I started having second thoughts about resorting to meds. If I saw video like that of someone else’s family, I’d be shocked and would wonder how on earth anyone could live like that! Both of my kids experienced the weight gain, but one of them stopped gaining, so his weight evened out as he grew. The other has not lost the weight, and it has affected his self-esteem, which is sad for all of us. Recently, we became concerned with how many meds one of our kids was taking and I started wondering if we still really needed them. So, his doctor started weaning him off of them. Within a week, he was completely miserable (like you, I’m leaving out the many personal details) and we were beside ourselves. It answered the question about the need the medication (in addition to all of the therapy he receives), but we were able to switch meds and cut down on the amount of different meds he was taking. Sorry this is so long, but I’m just happy that you wrote it, and I hope that more people will understand that these medications are a necessity, not something we do because our children are unruly or as an alternative to discipline. Nobody can understand this unless they’ve lived it! Also, I agree with the person who mentioned the potentially serious side effects of these medications. I would definitely recommend that anyone who has to take this painful route see a specialist who fully understands these meds and will order regular blood tests. I also research every med myself so that I know what side effects to look for and what tests should be done while on them. Thanks again for writing this, Sharla! I know exactly what you mean! I have been there on both sides of this topic. I know what it is like to see a child struggling to learn, to live, to cope with life . . . and to see the same child (on medication) be able to learn, to retain information, to be happy and thankful. Several years ago, after her first week on medication, she said at the end of the week: “Mommy, I can’t believe it, I have not gotten in trouble all week!” The inability to control one’s impulses has a huge tie to behavior. It was so freeing for her to see that with help she could. Impulse control (or rather the complete lack of it) is completely ruling my child’s life. I was wondering what medication your daughter was on that helped with this? I would like to ask our behavioral specialist about it. Thanks for a great article! I think that if we had had the option of choosing medication for our undiagnosed ADHD child then the teenage and young adult years would have been much smoother. We could have avoided unneeded trauma! Thank you for your honesty. I have had my child on medication since she was five, and have been questioned by other parents, family members, even the pharmacist! I struggled and struggled and struggled, never wanting to medicate her. I still want to wean her as soon as we can (six years later), but I can’t make her live through her anxiety again. It’s so very very hard! This is one of those topics that doesn’t even touch the adoption boards, it’s this little area that no one mentions in an effort not to be judged. I totally get it and applaud you for talking about it. It was an on / off switch for our family – the results were that pronounced. Sharla, Thank you SO much for being transparent and vulnerable. 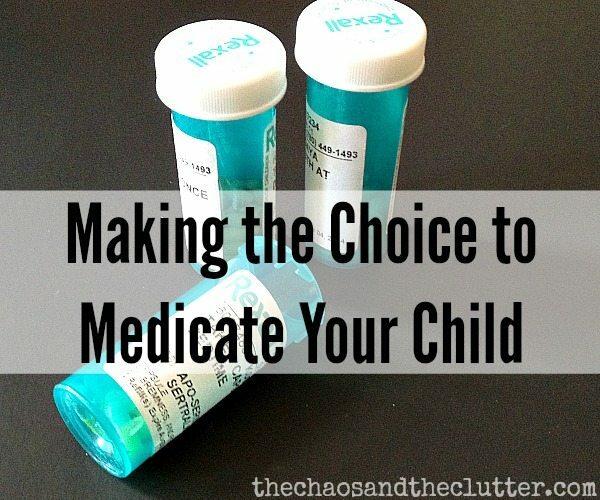 My husband and I recently made the decision to medicate one of our children. It was absolutely a gut wrenching, anxiety producing, guilt inducing thing. We have a ton of support and it has still been hard. However, the results are worth it all. My son is more confident in his abilities, not as anxious about his dis-abilities. Thank you so much for sharing your story. There is no doubt it will help other mom’s out there. My father did his master’s thesis on behavioral issues in children from a Christian’s perspective and based on personal study (for my own college term papers, although I’m certainly not claiming expertise here) I do think there is an over medication issue in this country. BUT, and this is a big BUT, for every child and adult who is on medication and doesn’t need it there is a child or adult who should be on medication but isn’t because of personal convictions, finances, or poor medical care. Unfortunately we had a huge tragedy strike very close to home, that could have been completely prevented if the woman involved hadn’t stopped taking her medication because she couldn’t afford it. Medication is sometimes needed period, but I absolutely agree it should be a last resort. When that point arrives (and even before) there is zero shame, period. It’s a difficult decision to make whether or not to medicate children even with a serious medical condition. All 3 of my sons were born with Cystic Fibrosis, a genetic lung disease that requires many medications to control along with chest percussive therapy (CPT) which is performed several times a day. Our middle son passed away at 8 days old, but our other 2 boys are still fighting it. We usually try increasing CPT and nebulizer treatments before adding in any new medications or antibiotics when they are sick, but often the antibiotics are the only thing that works. My oldest son has reached the point where he has to be admitted to the hospital for 2 weeks at a time, 2 times per year to receive IV antibiotics. We don’t like doing it, but it’s what’s best for him to try to keep him healthy. You should not feel guilty for doing what you feel is best for your children. I am weeping openly as I read this, because it hits so close to home for us. We have had to make the hard choice of medicating two of our children, one adopted and one biological, for different reasons. It sounds like we are dealing with some similar issues as you–Aspergers, ADHD, FASD, and Anxiety. (I’d love to find out more about your experiences with FASD–I can hardly find a doctor who’s even aware of it, as it’s not an “official” diagnosis, but it is most certainly what we are dealing with.) In these situations, there’s just no room for judgement. Before I lived through our experiences, I thought I would NEVER medicate a seven year old child. Now I know that I will do whatever it takes to help my child be healthy, happy and safe. I’m sorry to hear that you’re going through all of this. I never thought I would make the decision to medicate either until there really was no other option and it’s so hard. I find that for all of my kids, but particularly for my kids who have FASD, sensory work has helped a lot. I’d be happy to answer any questions you have or point you in the direction of some helpful articles. P.S. We just had to make this decision again this week for one of our sons and it was just as hard this time even though we’ve walked down this road before with other kids. We are standing at this intersection right now. Thank you for your perspective. Excellent post!!! Our choice to medicate our son came after yet another ruined social situation in which behavior dominated and left us isolated from any type of engagement and fun with our hosts. On the way home my husband said we medicate no debate. Best decision we ever made. It was tough to make the decision then the guilt afterwards of not doing it for so long was overwhelming. That was 5 years ago we have tried several since. It is a stressful roller coaster but a very necessary ride. Thank you for this. I’m glad to hear that your experience was a positive one. It really is a roller coaster though, isn’t it? !